Finally entering the US market, biosimilar drugs have the potential to be as disruptive as generic drugs following the Hatch-Waxman Act of 1984. The first US biosimilar — Sandoz’s Zarxio, which prevents infections in cancer patients — received FDA approval in 2015,75 and entered the market at a 15% discount. At least four biosimilar applications are pending FDA review in 2016, with another 50 in the FDA review process. Similar to generic drugs, a biosimilar is a near substitute for an original brand drug, sold at a discount once the original loses patent protection. Unlike generic drugs derived from chemical substances, biosimilars — and the biologics they aim to replace in the market — are derived from living organisms. As a result, biosimilar manufacturing and the FDA review process is more complex and more expensive, compared with traditional generic drugs. Biosimilars are expected to bring significant price discounts compared with branded versions of biologics. This may bring welcome relief to rising drug costs from expensive specialty drugs and help consumers with high-deductible health plans. Physicians and insurers hope biosimilars will bring choice and competition to offset rising drug costs, and new entrants are using biosimilars as a way into the biologic drug market. Pharmaceutical companies are hedging their bets by crafting defensive strategies to protect sales of branded biologic drugs while also developing biosimilars of their own. Half of the top 10 pharmaceutical companies are developing biosimilars. Legal disputes over the exchange of information between brand drug patent holders and biosimilar manufacturers will likely remain the final hurdles for biosimilar product launches following FDA approval. Before the Biologics Price Competition and Innovation (BPCI) Act was passed as part of the ACA, there was no established regulatory pathway for biosimilar drugs. The law has the potential to usher in the next wave of high-science, lower-cost products, but much will depend on FDA rulemaking and the ability to substitute biosimilar products for brand name drugs at the pharmacy. Bruce Leicher, general counsel and senior vice president at biosimilar company Momenta Pharmaceuticals, told HRI that the FDA is taking a “much more engaged approach” to biosimilar development, and is providing instructive guidance during agency meetings with drug makers. Most consumers, however, have no idea what a biosimilar is. Approximately eight in 10 consumer respondents to a 2015 HRI survey failed to choose the correct definition of a biologic from a short list. Lower prices helped consumers overcome initial feelings of unfamiliarity and unease with generic medications over the last three decades, and patient feedback — increasingly posted online — may help to speed adoption of biosimilars. Still, many consumers are blind to cost considerations when receiving a new prescription. Thirty percent don’t know if their physicians consider the financial burden of a new prescription, and 41% don’t know if their insurers offer discounts for switching to lower-cost medications, according to an HRI survey. Multiple stakeholders will influence biosimilar use. Integrated delivery networks, insurers, purchasers and physician groups participating in quality- and outcomes-based payment structures can fuel adoption of biosimilars as a cost-containment strategy. Integrated health systems should encourage patients to switch to biosimilars when appropriate, or begin new prescriptions with biosimilars. Product services differentiate brands from biosimilars. Pharmaceutical companies seeking to defend the market position of their products against biosimilars should offer and promote complimentary services — such as mobile apps, patient education and financial assistance — to build brand loyalty and discourage patients from switching to lower-cost alternatives. Biosimilar makers also may need to advertise the availability of new products, an expense that may prevent deep discounts against the original biologic. Physicians appreciate low-cost options. Adding a biosimilar to a broader therapeutic portfolio of branded therapies can help pharmaceutical companies engage physicians and promote trust by providing a lowercost option among premium products. 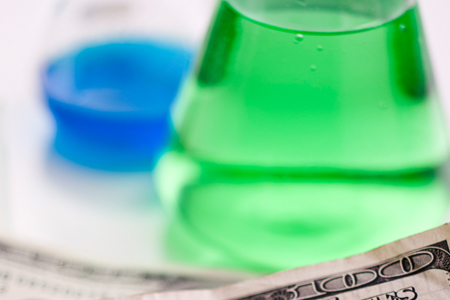 For oncologists and their patients, a biosimilar marketed alongside branded cancer drugs could help to ease the financial burden of treatment. Partnerships between brand pharmaceutical companies and biosimilar manufacturers allow both to combine and leverage their respective strengths in the market.